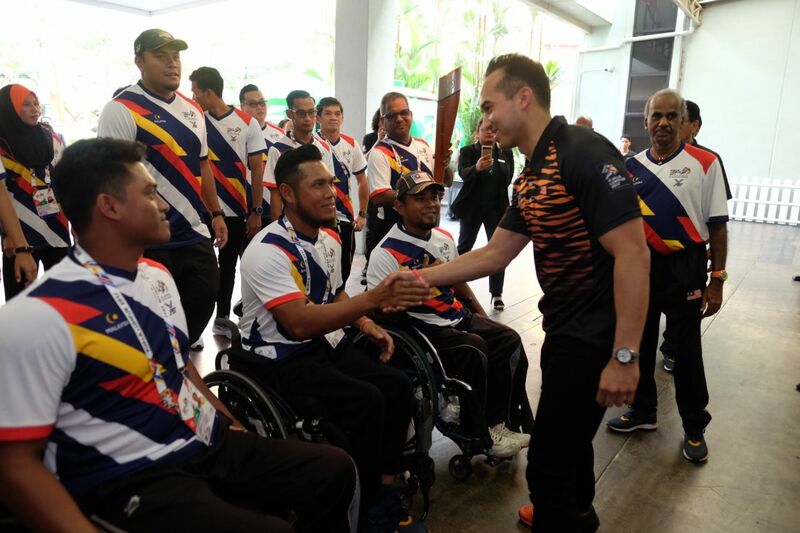 Naza Corporation Holdings Sdn Bhd announces that it is one of the national attire sponsors for the Malaysian Para Contingent for the Asian Para Games Jakarta 2018. THIS attire will be worn by the athletes and officials during the opening ceremony of the Asian Para Games Jakarta 2018. SM Nasarudin SM Nasimuddin, Group Executive Chairman & CEO of Naza Corporation Holdings, who is also the President of the Paralympic Council of Malaysia, said “As a corporate citizen of the country, this sponsorship is in line with our company’s core values to promote good health and overall wellbeing. Our country has an amazing pool of talented para athletes and, despite their physical challenges, their sheer determination, hardwork and relentless passion for sports opened doors for them to achieve excellence. “To our Para Contingent, we wish them nothing but the best. We hope you achieve your dreams in the spirit of togetherness, friendship and sportsmanship through your love for sports,” he added. Naza Corporation Holdings will sponsor all 226 athletes and officials of the Malaysian Para Contingent. Last year, Naza Corporation Holdings was also the Platinum Sponsor of SEA Games 2017 and ASEAN Para Games 2017 in Kuala Lumpur.